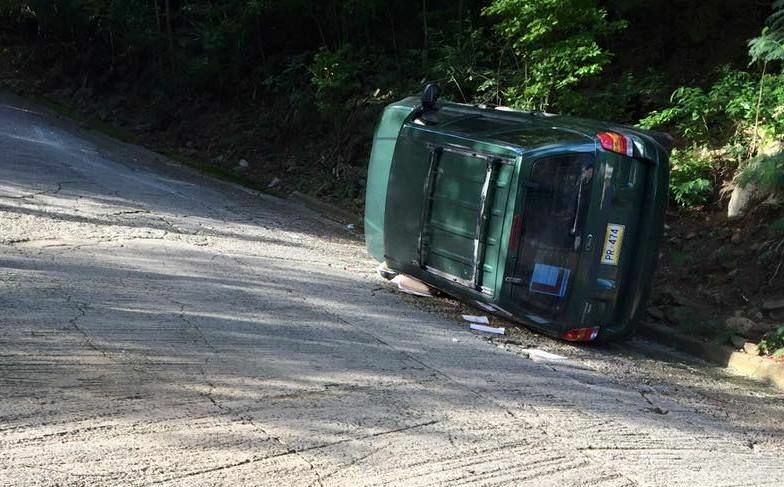 Reports reaching Virgin Islands News Online is that the driver of the vehicle was attempting to reverse on the incline when she ended up hitting the side of the road and toppling. 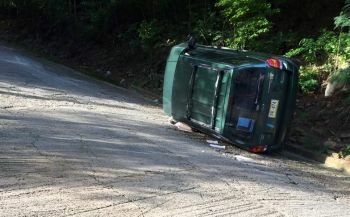 "It looked like she stepped on the gas instead of brakes when reversing and rode up longside the hill and she turned over and slid down the hill," a source said. Persons nearby assisted the woman, the lone occupant, out of the vehicle. There were no visible injuries, according to reports. No offense.... when you group a gender of people together and say they can not do something. That is offensive. If Women said all men cant be loyal, all men cheat, all men cant cook, i'm sure that would offend men who don't cheat, who are loyal and can cook. So take your head out your A##. A high majority of people in this country are needlessly put themselves and other peoples life in danger by driving too fast, on the wrong side of the road, over taking on corners, driving whilst on the phone, wearing no seat belt and then cuss everyone else when they get into an accident. Everyone needs to slow down and pay more attention. NOT JUST THE WOMEN ON THIS ISLAND!!! first a period of vehicles on fire along the road...now a set of vehicles topping over. Is the earth changing axis?